A Spanish judge on Monday ordered the remains of artist Salvador Dali to be exhumed to settle a paternity suit, despite opposition from the state-run foundation that manages the artist's estate. 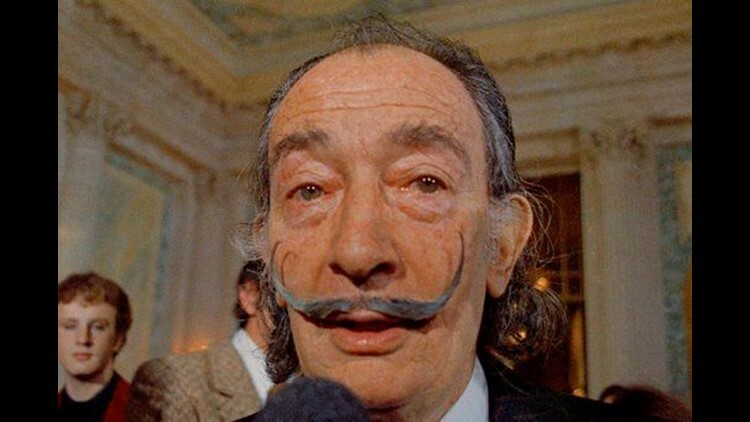 MADRID (AP) - A Spanish judge on Monday ordered the remains of artist Salvador Dali to be exhumed to settle a paternity suit, despite opposition from the state-run foundation that manages the artist's estate. Pilar Abel, a tarot-card reader from the nearby city of Girona who was born in 1956, says she is the offspring of an affair between Dali and her mother, Antonia. At the time of the alleged affair, Dali was married to his muse, Gala, who died seven years before the painter. Gala had a daughter from an earlier marriage but the couple had no children of their own. Upon his death, at age 84, Dali bestowed his estate to the Spanish state. On Monday, a Madrid court statement said that tests with DNA from Dali's embalmed body were necessary because there were no other existing biological remains with which to make a genetic comparison. Abel's court litigation started in 2015 when she sued the Ministry of Finance, as the trustee of Dali's estate, and the Gala Dali Foundation that was created to administer it. "What she wants is to have a result of the tests with full guarantee in order to finish with this as soon as possible," Abel's lawyer Enrique Blanquez told The Associated Press. If there's a match, Abel could use Dali as her surname and pursue further legal action to claim her rights over the artist's work and property, which according to regional laws could amount to 25 percent of all of the estate. The Gala Dali Foundation will appeal Monday's decision, foundation spokeswoman Imma Parada said in an e-mailed statement. But according to Blanquez, the appeal could not immediately stop the exhuming of Dali's remains. AP writer Ciaran Giles contributed to this story.